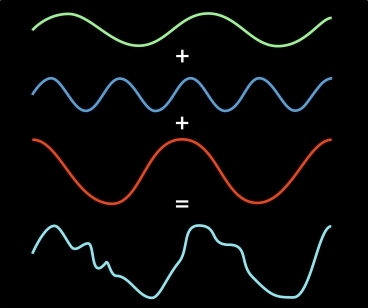 Researchers at MIT have published a paper detailing a new approach to Fast Fourier tranforms (FFT) that could increase the speeds of image and sound processing tenfold. FFT has been in use since the 1960s to process audio and image files by isolating key frequencies from an irregular original signal and then assembling them in a useable format. MIT's new technique takes the signal and splits it into smaller segments and isolates key frequencies, assigning them a “weight” to ensure they get priority, while abandoning those frequencies that aren’t needed. The team presented the paper at this week’s Association for Computing Machinery’s Symposium on Discrete Algorithms (SODA), and gave the example of transmitting an image of an eight-by-eight block of pixels. This breaks down into 64 data samples, each with its own digital frequency, but the team found that 57 of those can be discarded without noticeably degrading the quality of the final image. The system also uses overlapping filters to isolate key frequencies, and then uses technology from 4G networks to slice the spectrum into ever-decreasing slices until the most heavily weighted signals are isolated and processed.